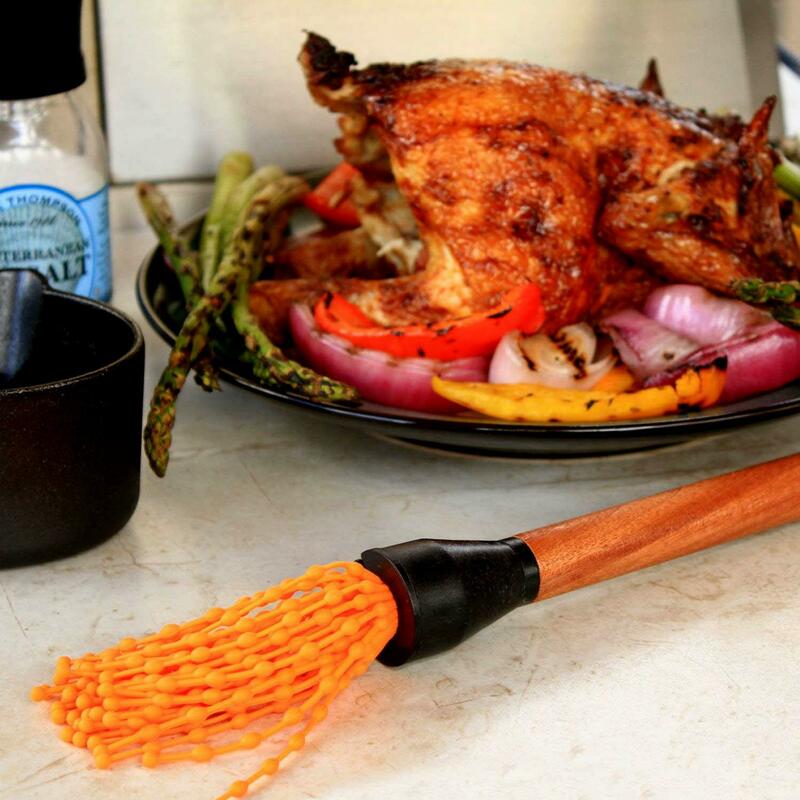 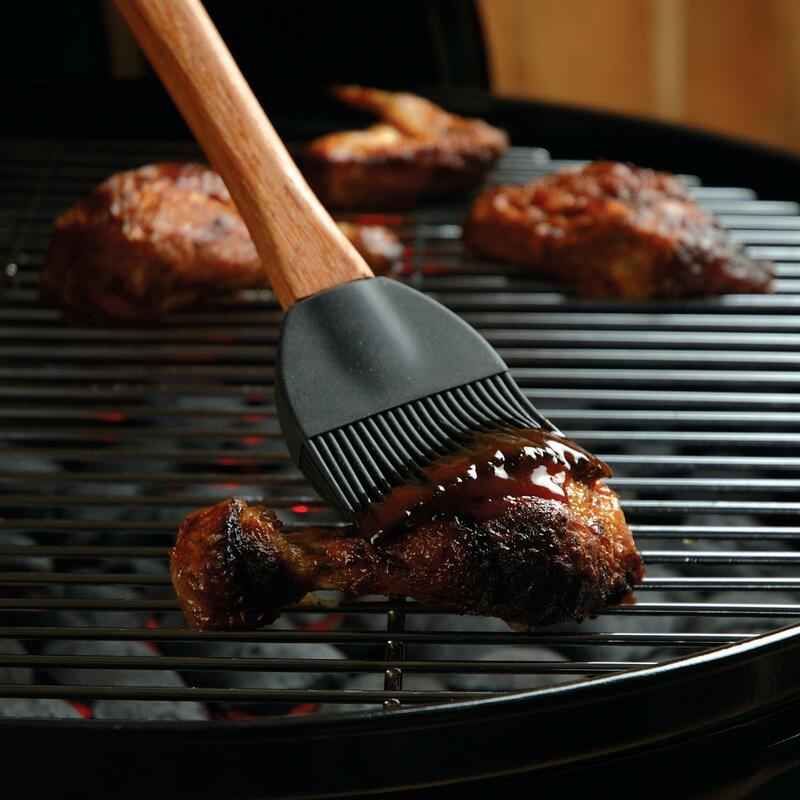 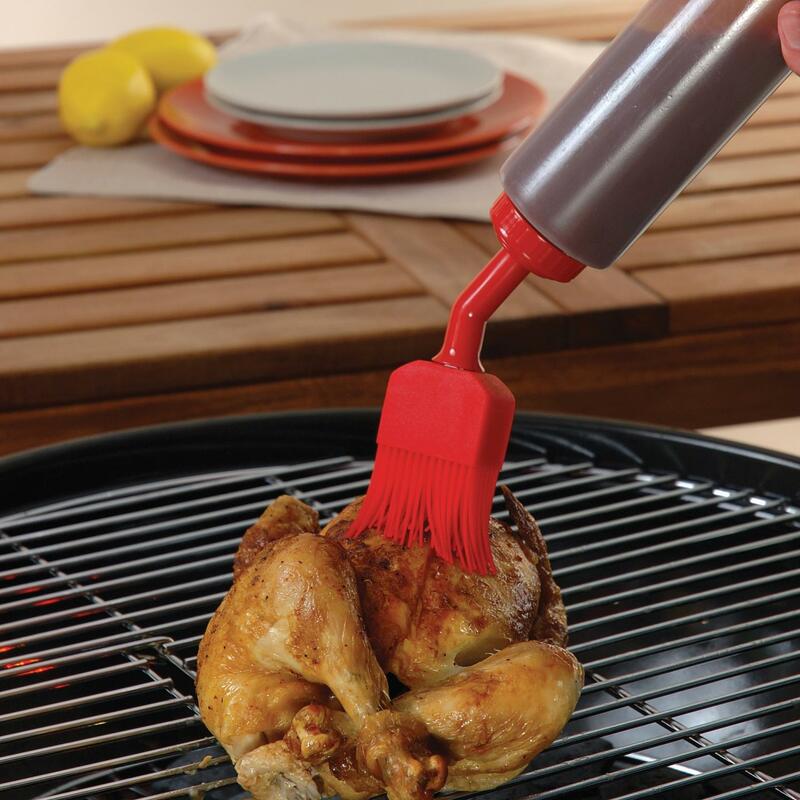 Product Description: 15-Inch Basting Brush With Silicone Head. 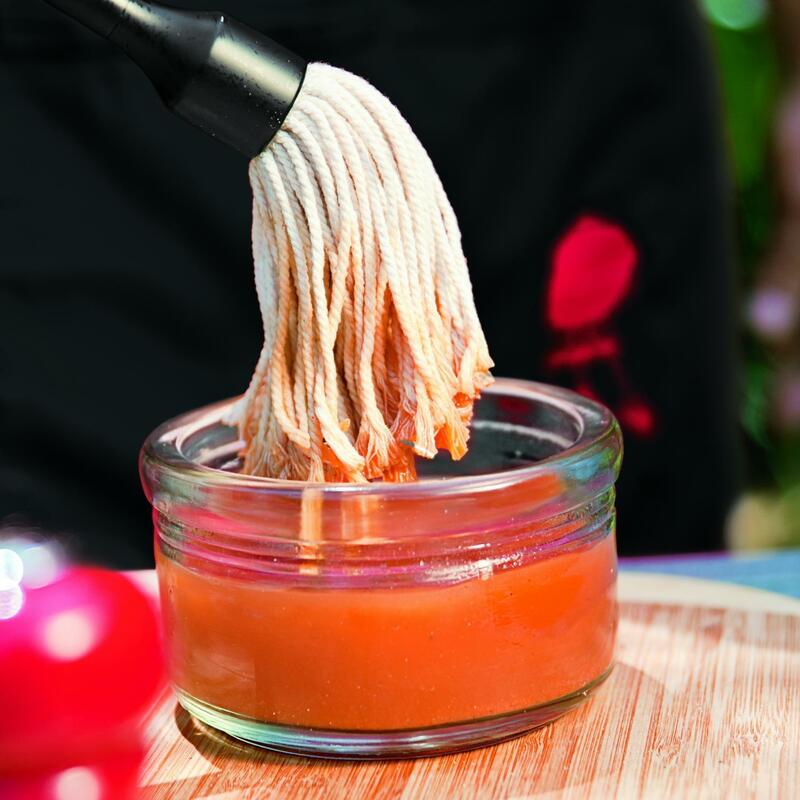 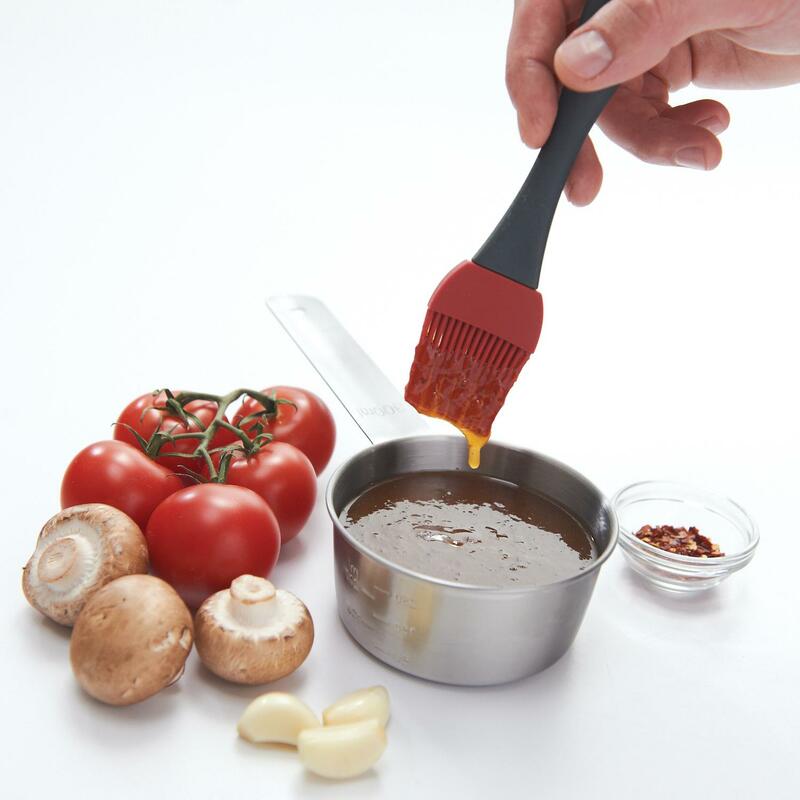 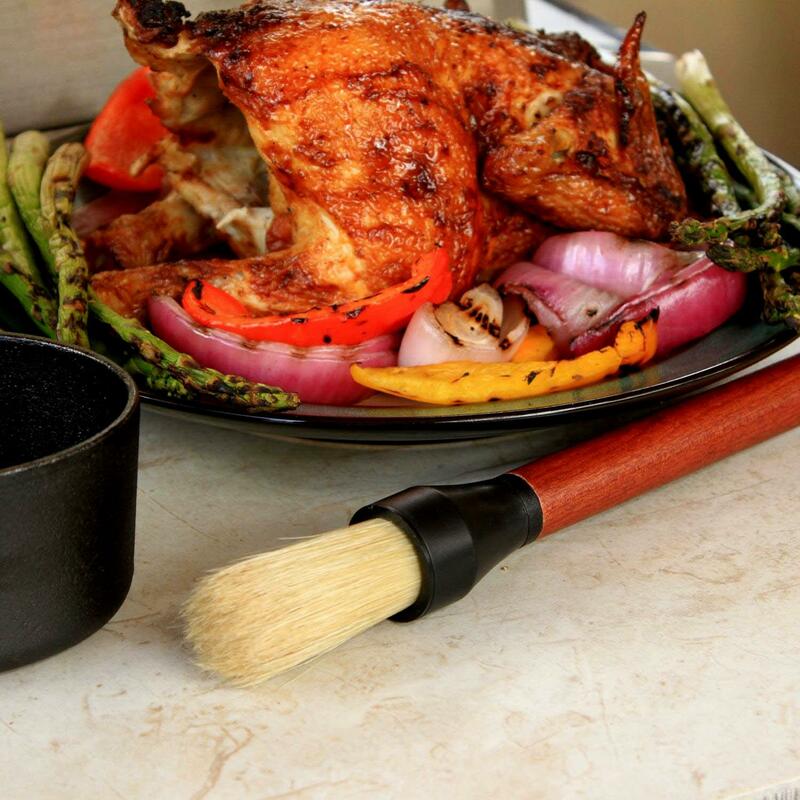 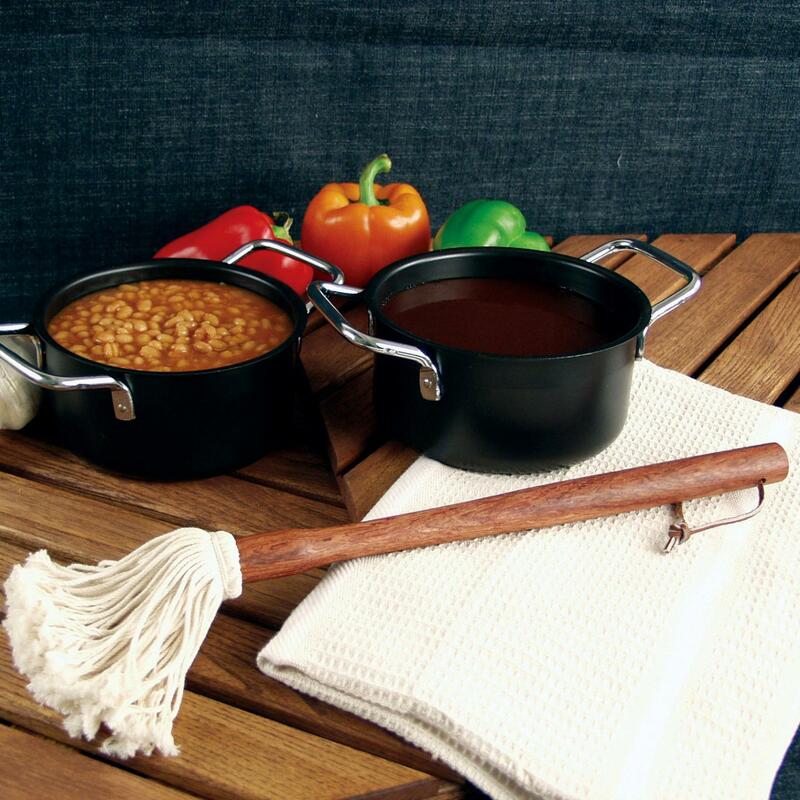 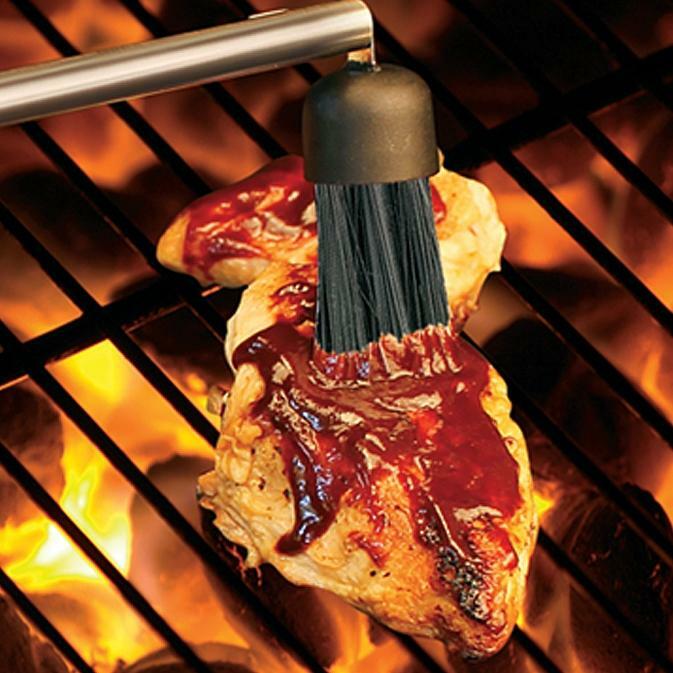 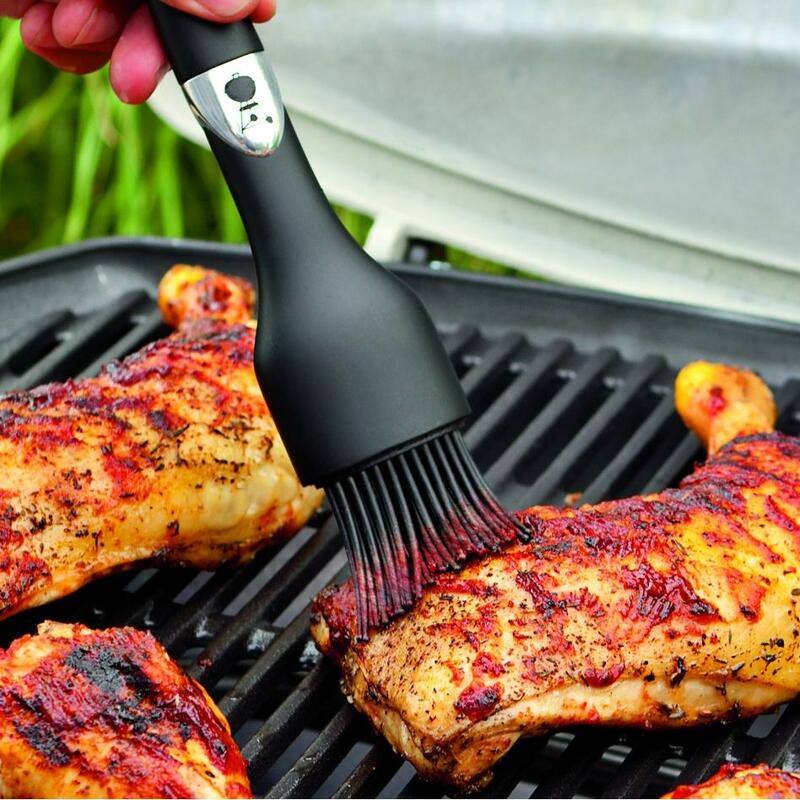 This silicone brush head holds sauce, cleans up easily and can withstand heat up to 550 degrees Fahrenheit. 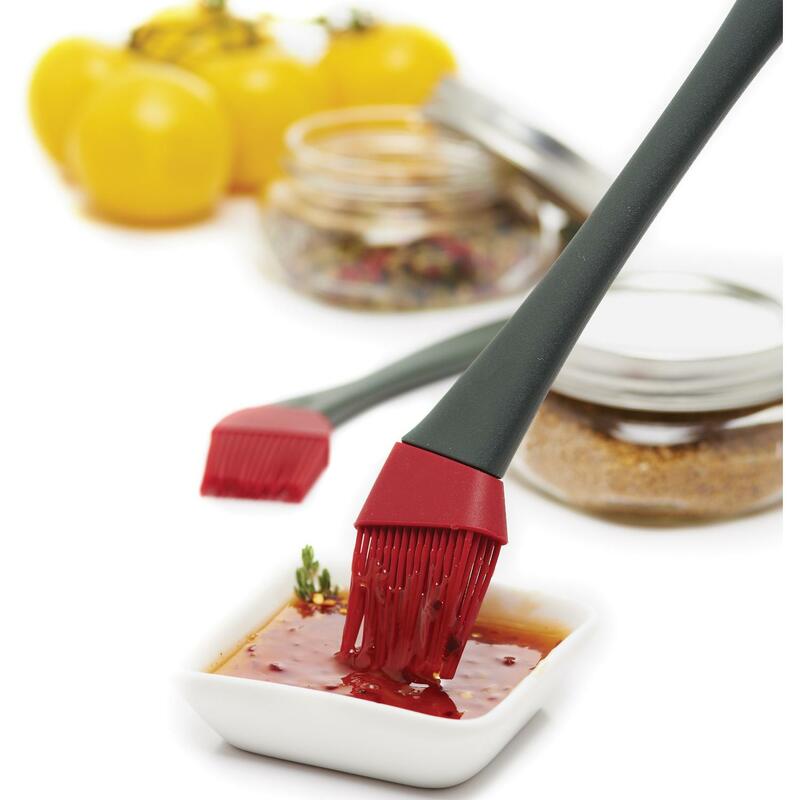 The oversized silicone bristles are 1 3/4 inches long and the entire head can be removed to put in the dishwasher. 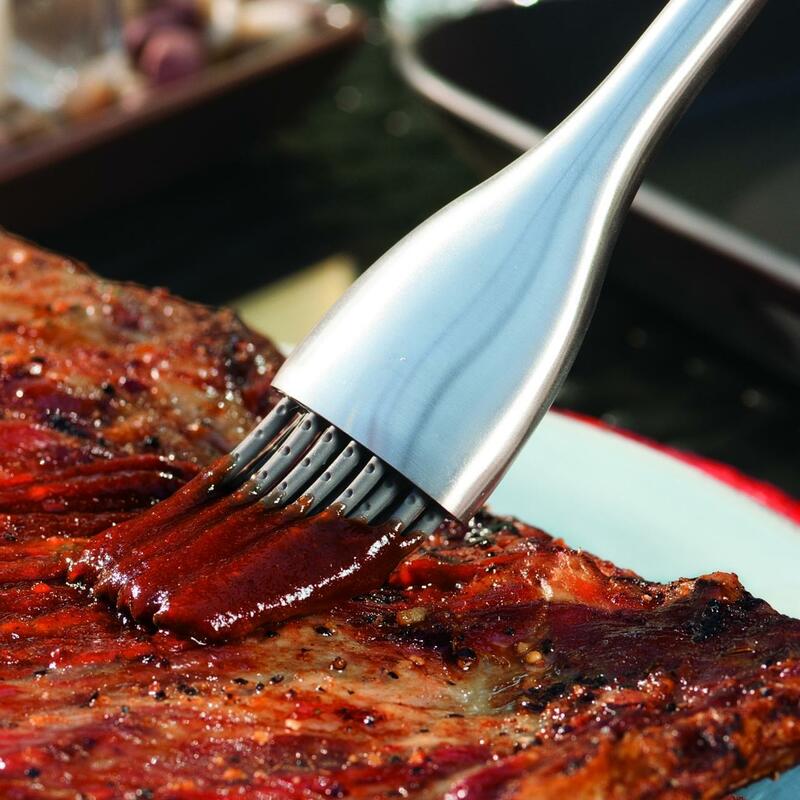 The rosewood handle has a leather loop for hanging and storage.